For hotel reservation, please click here. For sightseeing tour reservation, please click here. 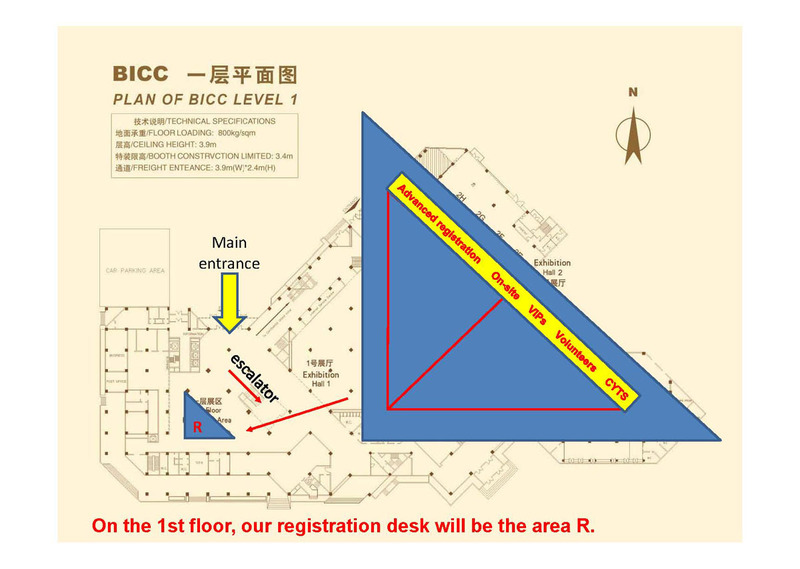 Full registration fee includes admission to all sessions (plenary sessions and technical sessions), coffee breaks, lunches, one ticket for the opening reception and one ticket for the banquet, as well as one copy of the program book and one copy of the CD-ROM proceedings. Each full registration covers a maximum of two papers. Each paper requires one full registration (even if all authors of the paper are students, i.e., a student registration does not cover any papers). Each paper is limited to 8 pages. A maximum of two extra pages per paper are allowed, at an additional charge of $125 USD per extra page. Each extra copy of CD-ROM proceedings will be $55. Each extra banquet ticket costs $100 USD. 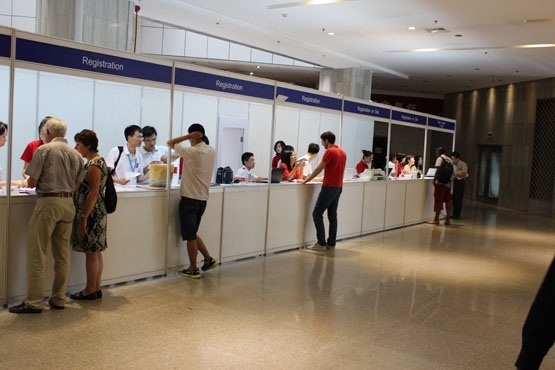 Student registration fee includes admission to all sessions (plenary sessions and technical sessions), coffee breaks, lunches, one ticket for the opening reception, as well as one copy of the program book and one copy of the CD-ROM proceedings. Students are required to provide a copy of a valid ID that certifies their full-time student status. In order for your paper to be included in the conference proceedings, a full registration must be paid before April 15, 2014. If you register late, your paper will not appear in the conference program and the proceedings. If you are from China and would like to pay your registration in CNY, please click here. If you would like to pay your registration in USD, please click here. 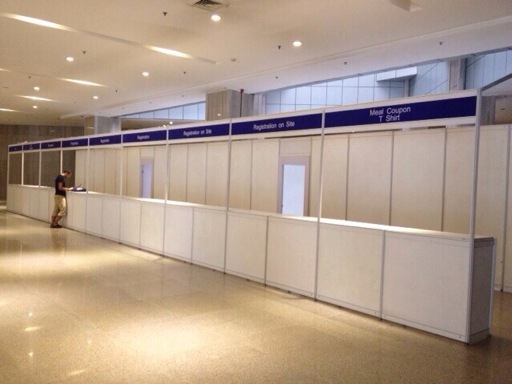 The following pictures show the layout of the congress registration desk.